Reflexology Socks are hot on the market right now! 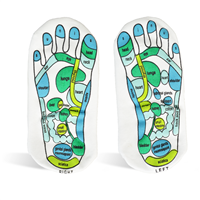 Follow the diagram on the bottom of each sock to find the pressure points of different body parts. Massage the pressure point associated with your pain or apply creams and oils. Great for spa and essential oil product lines!